This page collects, on an ongoing basis, all long term investing tips that are published on InvestingHaven.com. We aim to collect in total 100 investing tips for long term investors which are relevant and actionable. In order to help readers we bring in some structure in our 100 long term investing tips. This is our guide meant for individual investors. In a time where so many tools and information is available it is critical to know what you are doing. Wiki calls this the ‘do it yourself investor‘. 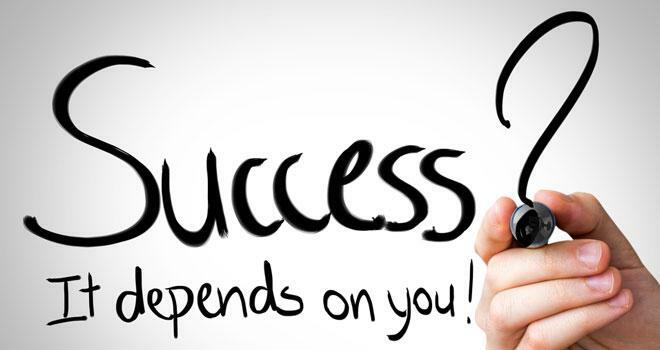 Whatever the term we apply the point is that success depends on yourself. More importantly, investors must know what they are doing when entering any market. This list of 100 long term tips for successful investing should help investors understand what it takes to be successful. Investing is a process that has multiple steps, investing is also a multi-faceted activity, and we look at all steps in the investing process as well as all the facets of investing. The structure we have laid out below should reflect this, and it is the structure in which we have bundled our 100 long term tips for successful investing. The big problem with investing tips is that most people start with sites that also have a commercial purpose. Investopedia, although a respected and giant site, is known to have so many links to brokers and other commercial affiliated services that it becomes tricky to differentiate the real content from commercial content. This Investing 101 tutorial makes the point. This extended tutorial to spot investments does even not talk about charts and chart analysis whatsoever. How on earth are you able to spot TOP investing opportunities without charts? Impossible! Similarly, the 25 tips on TheStreet.com are dubious to bring success. Note that we are so convinced about our work and the outcome of applying these 100 investing tips that we believe we deserve a spot in this blog post about top investing blogs with top tips in all humbleness. Investing tip: Discipline is one of the most important success factors. Only very disciplined investors are able to repeat successes, and outpace profits versus losses. Investing tip: A method for picking investments with entry and exit criteria as part of strict risk management and time management is crucial. Investing tip: By combining the previous 2 investing tips we conclude that having a method in place which you respect in a very disciplined way, and continuously improve based on learnings and mistakes, is a key success factor! This is very similar to running a business. Each and every business that runs successfully has a method that is followed strictly, allows for mistakes but learns from the continuously, and only expands in a controlled way. Investing is no different! Investing tip: Most investors considerably underestimate the amount of time that is required to study and research assets, markets, stocks. Investing tip: The market is here to mislead you. The market is not here to please you, and the market does not care about you. Once you understand this, and consider this your baseline, you will understand the level of effort to be successful, and repeat successes. Investing tip: It is a minority of investors that is successful, arguably less than 10 pct. Achieving the status of a successful investor requires lots of effort, continuous research, and continuous improvement. Investing tip: The asymmetric effects in markets is crucial to understand, and recognize. We have many examples of how the market works in an asymmetric way, and we have explained this in great detail in Tsaklanos his 1/99 Investing Principles named to the founder of InvestingHaven.com and lead of the research team. Tsaklanos his 1/99 Investing Principles is a set of rules to help investors make the right decisions. It helps investors become more aware of wrong decisions which are primarily the result of emotional and impulsive action. Investing tip: As a result of the asymmetric effects in markets successful investors apply the “less is more” rule when investing. Investing tip: The chart is crucial, and it is the most factual and data driven way to look at any market. That’s why we apply the ‘start with the chart’ principle. It means we first identify trends and opportunities in assets or markets based on chart patterns, only to consider this as green light to look into fundamentals and, when relevant, financials. So first the chart, then fundamentals. Investing tip: A strict and disciplined way to identifying trends on charts is required. The most fundamental way to apply the ‘start with the chart’ principle is the top down approach: first study the monthly chart as it shows the ongoing dominant trends, then the weekly chart, only after this the daily chart. This is the right approach to understand trends. Only if and once patterns or opportunities on all 3 timeframes are in synch is it justified to do an investment. In other words the 3 timeframes have to confirm each other, not divergence. Investing tip: The most dominant patterns are visible on the higher timeframes. Investing tip: Intraday charts are not for long term investors. They are only there for traders. Everyone has to make a tough decision: either you are an investor or you are a trader. In each case you need a different toolset, a different chartset, and different charting principles. The points made above apply to investors with a long term horizon, which is a bare minimum of 3 to 6 months. Investing tip: Reading a chart seems simple but it really is tough to get all important insights out of a chart. Charting is the art of understanding probabilities of where a market is heading, when it might peak and when it might bottom. Investing tip: It is imperative to choose the right view to assess a market or an asset: time intervals on the chart. The length of the timeframe as well as the type of chart are a key success factor. Investing tip: Charts are the best instrument to forecast markets. However, not any forecast can be considered static, each and every forecast is subject to change if and once the dominant patterns are invalidated. Investing tip: Each each asset has its own characteristic. Each market has its own characteristic. On the most granular level each stock or financial instrument has its own characteristic. Although chart patterns may be similar across assets and markets it is dangerous to apply one-size-fits all charting. Investing tip: Consequently, each and every asset / market / stock has a different behavior when it comes to its uptrend (when it trends higher, how it trends higher, how long it trends higher) as well as the dominant patterns which lead to major tops and major bottoms. Investing tip: Do not underestimate the power of key resistance levels. Almost never will resistance be broken after a first touch. That’s why entry points should not be set at, but above or below key resistance. Investing tip: The intuitive reaction of investors is to focus on the upside potential. While this is justified in some instances it is even more important generally to focus on the downside potential, and consequently downside risk. Investing tip: Commodities and currencies typically have very complex charts. They typically have multiple patterns at play simultaneously or they have alternating occurences of patterns. The latter means that different patterns occur, in an unexpected way (stocks, for instance, tend to have the same type of recurring pattern). Investing tip: First thing to do is lay out the canvas which is determined by all sharp peaks and troughs on a chart, as well as all-time highs and lows. Always work within the canvas when forecasting. Investing tip: Trendlines are a critical part of studying before taking any position. The rule of thumb is that the more touches of a trendline the more critical its importance becomes. Investing tip: In forecasting an asset or market or stock it is crucial to look at both horizontal and rising/falling chart patterns. Both combined determine a potential outcome. Investing tip: Only a limited number of charts have a clear and outspoken chart setup suggesting a trend is in place. One of the common pitfalls is that investors choose a stock or asset because of fundamentals and/or because a guru told a nice story. Only when a stock or asset has a clear chart pattern that reflects a bull market is it worth your capital. If no pattern is visible there is not trend, in which case more time may be required to unfold a trend or a trend will never occur. Investing tip: Only a very limited number of price points have a decisive meaning. It is crucial to identify those critical price points, and actively use them in determining entry and exit points. Applied successfully and consistently it will deliver above average profits over time. Investing tip: For peace of mind investors should have a handful of price points that they track in the big picture market trend. Moreover, it is monthly closes that are important to determine dominant trends. This allows for more controlled investing decisions. Investing tip: Entering a position is not the toughest part. Exiting a position in time to ensure an investor take profits but also protects its risk is, by far, the toughest part. The most important way to determine exit positions is to look for horizontal and diagonal resistance points on long term charts. Investing tip: One small secret of forecasting markets is that the choice of the right leading indicators makes the difference. Investing tip: Moreover, in combining above investing tips related to intermarket trends as well as chart patterns the real forecasting ability comes from understanding which chart pattern to use for which leading indicator. Investing tip: Each leading indicator requires its own chart analysis technique and has its own set of relevant chart patterns to identify turning point. Investing tip: Forecasting market turning points is an art in and on itself. That’s why we tend to call the term ‘the art of the chart’ for forecasting market directions. It requires a very deep understanding of markets, and an enormous time to discover these forecasting insights. Investing tip: The secret about forecasting U.S. stock markets and turning points is to properly use 3 charts and leading indicators. First, on the highest level and longest timeframe, the 10 year Yields determine the multi-quarter risk on / risk off direction of stock markets as they move from top to bottom in rising or falling channels. Second, on a multi-year timeframe, the Russell 2000 to S&P 500 ratio determines the turning points based on breakout and breakdown patterns. Third, on an intra-year basis, the Russell 2000 to 10 year Yields ratio determines the turning points based on breakout and breakdown patterns. Investing tip: Whatever is said in the section ‘how to forecast U.S. stock markets’ may not exactly apply to other stock markets. Every country or region has its own dynamics which need to be respected. Investing tip: Markets move in relation to each other, they do not move in a vacuum. Capital flows from one market to another market, considering that cash is also a market (any currency). This flow of capital can be identified by thoroughly analyzing chart patterns and trends in a handful of leading assets. They are primarily treasuries, currencies, leading stock market indices, gold, crude oil. Investing tip: The key point is that it is one primary trend that triggers a domino effect for other markets. Investing tip: When leading assets arrive at decision levels they can do either of two things. Either they break out / break down or bounce back. In doing so, they influence other assets. This is the basis for a new market trend where several markets are part of a similar type of trend. Think of a “risk on trend”, a “risk off trend”, a “fear trend”, an “inflation trend”, and so forth. Investing tip: The art of understanding intermarket dynamics is the combination of 3 things: identifying leading assets + reading charts of those assets and respecting chart characteristics of each asset separately + identifying major turning point for each asset. Once this is in place it becomes obvious which asset has a primary or dominant force influencing other assets. This is what we derive from intermarket dynamics, and this is the key to forecast markets. Investing tip: All major moves in markets, especially market crashes, start with major turning points in credit and currency markets. That’s why 10 and 20 year rates, as well as leading currency pairs, have the most influence on all other markets, including stock markets around the globe. Investing tip: An recent illustration of this in the time period 2014 – 2016 is the market turmoil caused by crude oil. Back then crude oil crashed between the summer of 2014 and February 2016; as crude collapsed, the dollar went through a monster rally and stocks got hit quite hard (though they did not really collapse). Investors would have benefited from shorting crude oil, shorting stocks or going long the U.S. dollar as all these moves were part of one and the same primary trend. Investing tip: Another relevant illustration is 2016. Gold rallied strongly as a sign of fear; consequently, crude and stocks tanked. Gold’s rally stalled when stocks started rallying. It is important to look at market trends as a function of each other. Investing tip: As explained in the intermarket dynamics section the temporary trades (like risk on, risk off, inflation trade, etc) are caused by capital flows between asset classes and markets. This results in temporary cycles in markets. They typically last between 6 and 18 months. The key is to identify those market cycles, and understand that they are subject to change. Investing tip: The news is a lagging indicator. It uses conditions from the past to create news items. Because markets move in cycles, and have alternating dominant trends, it shouldn’t be considered in isolation. It only makes sense to look at a market in the past as it related to other markets. That’s in the context of intermarket dynamics. In other words stocks may have been volatile in 2015, but they were volatile because of the crude crash. That’s a totally different way to look at market. Hardly any news outlet looks at markets this way. That’s why the vast majority of news has no relevancy to investors. Investing tip: As markets move in cycles and as each asset / market has its own characteristics the time period in which strong and juicy rallies take place are a minority. The key is to be in a market right at the start of a major move. However, that’s a minority of investors who are able to do so. The majority gets sucked in towards the end of a big move. Investing tip: This cyclical nature of assets and markets results in 2 mega opportunities per year, on average. Investing tip: What happens when applying the investing tip ‘less is more’ to the ‘2 mega opportunities per year’ tip? It pays off to be patient and invest only a part of your capital. The prerequisite, of course, is that you are able to spot those exceptional opportunities. Investing tip: Consequently, not trading (not having an investment) is also trading. It is a more profitable investment in many cases. Investing tip: In order to identify the most juicy investment opportunities in each year investors must pay attention to a wide range of sector leaders. They lead their sector higher and lower. The sector leaders tend to get a bid first, but also get sold first. The real value that sector leaders provide is following closely relative strength, breakout and breakdown points to understand which sectors will provide the highest potential. Investing tip: All the above implies there is always a bull market somewhere. There is always a place to make money. The point is about finding the markets that are strongly trending. Investing tip: Finding bull markets, especially in sub-segments of global stocks or commodity markets, requires decent research and chart analysis. Investors need to monitor many hundreds of assets and markets in a top-down approach (monthly, weekly and daily timeframes) to find bull markets. Investing tip: The art of the chart is knowledge that is imperative in identifying new bull markets as they start. Similarly, timing an exit is crucial to lock in profits for which decent chart analysis is required! Investing tip: In order to find the TOP 3 investing opportunities per year investors must follow very closely the candidates. It is typically a very small number of candidates that show really big moves. Thorough analysis on quarterly, monthly, weekly, daily and 4-hour chart timeframes is mandatory to define entry points, exit points, as well as understand if a move failed. Investing tip: The biggest caveat with new bull markets is that nobody talks about them. They are only visible on monthly and weekly timeframes. That’s where the ‘real market news’ is created. At the time bull markets appear in financial news and media it is already close to the end of the bull market. Investing tip: News is a lagging indicator, charts patterns are leading indicators! Investing tip: The saying goes “the bigger the base, the higher in space” which means that the longer a sideways consolidation period the more bullish power because there are less sellers in that market. Investing tip: Whenever prices reach the upper end of the range, sellers come in. But when prices get down to the bottom of the range, buyers step up. This goes on for an above average period until it resolves in one direction or another. Investing tip: Consolidations are very frustrating for traders and investors. This is the type of situation in which the vast majority of investors show no patience. They then sell with a loss, only to find themselves chasing prices higher after a certain time period. Investing tip: Consolidations create a very bullish long term outlook for any asset or market. Essentially, during sideways trading, sellers tend to leave the market every time the price peaks. If a consolidation goes on long enough all sellers leave this market. That’s the ideal market condition for a new bullish trend. Investing tip: The psychology behind this has to do with the fact that participants are just worn out of that market, and recognize the opportunity cost they’ve had to endure while waiting for a resolution. By the time the market breaks out it’s just been too painful to remain in the trade. That’s when Mr. Market resolves in an explosive upward move. Investing tip: Identifying and tracking consolidations on monthly and weekly timeframes is key to find future explosive breakouts. Investing tip: Emotion is the n° 1 enemy of any investor. Only a small number of investors is able to manage their emotions when it comes to making decisions and choosing a market to invest in. Investing tip: Falling in love with the investment is killing your profits. Love is an emotion, and emotions are your biggest enemy, and have the potential to destroy your account value. The one characteristic of all these top investing opportunities is that they have a short-lived period in which they really go ballistic. After that it is over for a couple of years at best (many, many years worst case). Never fall in love! Investing tip: This is an individual place. The market is not here for you. Really, the market does not care whether you are nervous, anxious, depressed, disappointed, etc. You can read hours and hours news, you can talk about your emotion with an endless number of people, you can go on therapy, you can curse, shout, etc. Nobody, and certainly not Mr Market, will care about you. Investing tip: There is something fundamentally wrong if you feel bad when prices go down, and feel good when prices go up. It should be the opposite. Investing tip: Your emotional and mental game is what makes the real difference in trading and investing. The fact that you are aware of this is the first step to success. Continue to educate yourself on this as it needs many, many years and many, many mistakes before you master your own emotions and be part of this selection group of smart and successful investors. Investing tip: In order to be a successful investor, you get in low. That is when ‘nobody’ talks about it. No emotions, no greed, no fear of missing out. As prices rise your profits become interesting enough to take profits off the table, and you feel good about it. If you recognize this ‘chain of emotions’ you know you are doing something fundamentally right as an investor. Investing tip: By far the best tool to overcome emotions is charts. Charts can neutralize emotions. They can indicate trends if you look for them. Use charts for this, and try to work on a disciplined method. You can really copy our own method if it helps you. There is much more detail and tips about managing emotions for investors in our master piece 10 Tips To Master Investing Without Emotions. It’s an article we highly recommend reading. Investing tip: There are 3 emotion types which act as a serious impediment to see what this small group of really successful investors do see. First, Fear Of Missing Out (FOMO) which makes investors chase prices higher. Second, the psychology of repetition: focus on ongoing price changes, especially green or red figures, creates the perception it is the ‘truth’. Third, hope: see what you want to see as opposed to trends or trend changes. Investing tip: FOMO is an emotion that kicks in once investors feel that they are missing big returns by staying on the sidelines. Investing tip: The antidote to FOMO? Very simple, thorough research to identify emerging trends in their early stage. This requires a very focused method, and very focused efforts. It also requires focus on the big picture trends, across markets and assets. Investing tip: The psychology of repetition kicks in as one looks at ongoing price changes. The psychology of repetition is how our brain and psyche works. By repetition we get acquainted with a topic. After repetition we start (dis)liking something. Repetition eventually evokes emotions. Investing tip: The antidote of the effect of repetition: charts. The charts show structures and trends. If you take chart analysis one step further you look at correlations and inter-chart effects. There is no green or red on those screens, at least not primarily. The repetitive green or red figures, triggering emotions on your end, does not kick in as an effect. Investing tip: Hope: hope can lead you to conclude something totally different than what is happening in reality. Looking at one and the same stock or market or chart, may have an emotionless person conclude something different than a person that ‘hopes’ to see something in it. The biggest risk in today’s world is the combination of financial media and social media. It is verey easy to find many articles on financial media and contributors on social media that share the same thinking (hope). Investing tip: The antidote to hope is not reading financial media and social media. At least, being extremely selective. Investing tip: The higher the volatility of a market or asset the harder you have to work to rationalize things like news, charts, entry and exit points. Investing tip: The more volatile an asset (think of cryptocurrencies, commodities, and the likes) the greater the seduction to focus on day-to-day price changes on your screen. It will drive you nuts, literally. Investors participating to (hyper) volatile markets must have a plan in place which is a series of entry and exit points, as well as a plan B if things go against them. This is worth spending time and effort, not checking multiple times per day price moves. Investing tip: One easy way to stay balanced in hyper-volatile markets is to start by looking at the downside potential. Only after this you focus on the upside potential. You will almost instantly get a totally view of the same market. Investing tip: In the end though large price swings in both directions tend to resolve to the median. Extreme price rallies may set up for enticing shorts, and extreme crashes are at a certain point enticing longs. Investing tip: Take small positions as these are extremely high risk assets. Risk hedging is recommended: take the base capital out of your investment once your position has doubled or tripled in order to retain “free” assets. This section is based on our guide 50 Cryptocurrency Investing Tips for 2019 and beyond 2020. We highly recommend reading this in detail, and even using it as a checklist, especially for crypto investors. Crpto investing tip: Cryptocurrencies, and crypto / blockchain assets in general, must be considered a normal part of anyone’s portfolio. They must be treated as one of the multiple asset classes like stocks, gold, commodities, real estate, cash. Crpto investing tip: Cryptocurrencies move 10 times faster than for instance technology stocks. Extreme volatility of cryptocurrencies only imply that investing decisions need to be made faster, not more frequent. Crpto investing tip: Most of the blockchain assets (cryptocurrencies, stocks, tokens) will be worthless in 5 to 10 years from now, similar to the majority of tech stocks after the dot com bubble burst. Only 2% to 5% of cryptocurrencies is worth looking into, less than 1% is worth holding. Crpto investing tip: All investing principles apply to cryptocurrency investing. A strict discipline for cryptocurrency investing is mandatory for long term success. Crpto investing tip: All investing principles as well as chart analysis techniques apply to cryptocurrency investing. Surprisingly, most if not all cryptocurrencies have clear and concise chart patterns. They serve as the basis for timing the market with great entry and exit points. Crpto investing tip: Diversify crypto holdings over different cryptocurrencies and blockchain assets in different categories. Choose only the ones that deliver ‘real world’ value as they solve ‘real life’ problems. Crpto investing tip: Security tokens will present new opportunities to invest in great blockchain projects, especially in 2020 and beyond. Crpto investing tip: Tracking your longlist and shortlist of cryptocurrency tokens and blockchain assets is a long term process. It may take many months, even years, before you believe a position in a specific token or asset is justified. Use the chart and the analysis on long term trends (crypto bull market, crypto consolidation, crypto bear market) together with your longlist and shortlist. Investing tip: ‘Timing is not the most important thing, it is the only thing.’ This implies that timing an entry point as well as exit point is by far the most important thing for an investor to do well. ‘Timing is the only thing‘ means that it is more important than reading news, analyzing fundamentals, following gurus, and so on. Excellent charting skills are a prerequisite to apply this principle! Investing tip: ‘From failed moves come fast moves.’ This essentially means that if an expected outcome does not materialize the move in the opposite direction takes place fast and in a furious way. If a market or stock continues to consolidate near its all-time highs, and decides to move lower it mostly declines in an aggressive way. Similarly, a failed breakdown tends to result in a sudden an strong rally! Investing tip: The saying goes ‘Better a year early than a day too late‘. It implies a couple of things. First, a market that is consolidating and slowly but surely showing strength will at a certain point accelerate its rise. It is better to be in too early than too late as in the latter case you will be chasing prices higher (which always ends in a bad way). Moreover, when it comes to topping patterns, especially in broad stock markets, it is worth selling a bit early with less gains than one day too late. Especially extreme sell-offs like the one of 1987, 2000, 2008 are the type of cases that come to mind. Investing tip: ‘Bear markets beget bull markets‘. It is at the depth of a bear market that all sellers leave, which makes place for a market to consolidate and set the basis to turn into a future bull market. Investing tip:’Bull markets beget bear markets‘. It is at the heights of a bull market that buying gets saturated. Only sellers are left, and it does not take a lot of sellers to take control and trigger a new bear market. Investing tip: Markets are emotional, more often than you would expect. Investing tip: The (number of) sources of information to make decisions are _not_ social media nor financial media. They are not meant to make you a better investor, they are meant to bring lots of content, that’s a big difference! Pick your sources according to the principle less is more. Investing tip: Markets may often move in a direction that ‘does not make sense’ from a fundamental perspective. That’s fine because emotions drive a large part of investing, in particular greed and fear. That’s why we always have to respect the saying ‘markets can stay irrational longer than you can stay solvent‘. The only way to manage this is to stay focused on charts as long term patterns mostly reveal major tops. That’s what investors have to look for, those ultimate topping price points. Investing tip: Selling pressure mostly peaks near a major bottom. This is what many call the ‘puke phase‘. It occurs when investors cannot stand the pain any longer, and sell collectively, which, mostly, marks a major bottom. Investing tip: Markets that are highly volatile require a trading approach as per the ‘less is more‘ principle. This applies to cryptocurrencies and markets like commodities. Trading less will result in significantly higher profits provided timing a trade is accurate. However, the majority of investors get shaken out of their positions because they tend to get too emotional. Consequently, they transact way too often.